We can all agree that a good espresso is worth taking a bullet for, right? Correction: A hail of bullets. But that heavenly brew can cost you an arm and a leg at your favorite coffee house or give you a potential headache if you attempt at making it yourself. So is there any hope? Any way of getting that shot of deliciousness with convenience and cost-effectiveness sprinkled on top? Grab yourself a coffee pod espresso machine. 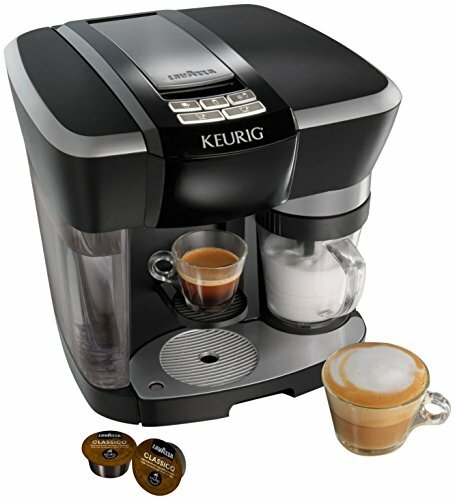 And in this world of unbridled convenience, the Keurig Rivo Cappuccino & Latte System is worth serious consideration. Pump produces 15 bars of pressure. Brews on on side and froths milk on the other. 2 espresso options: short and lungo. Keurig is know for its K-cup coffee makers, and has translated its famed simplicity to this Rivo espresso machine. ​Operation couldn’t be any simpler: place a pod into the machine, press a button and wait to be wowed by the magic of espresso. 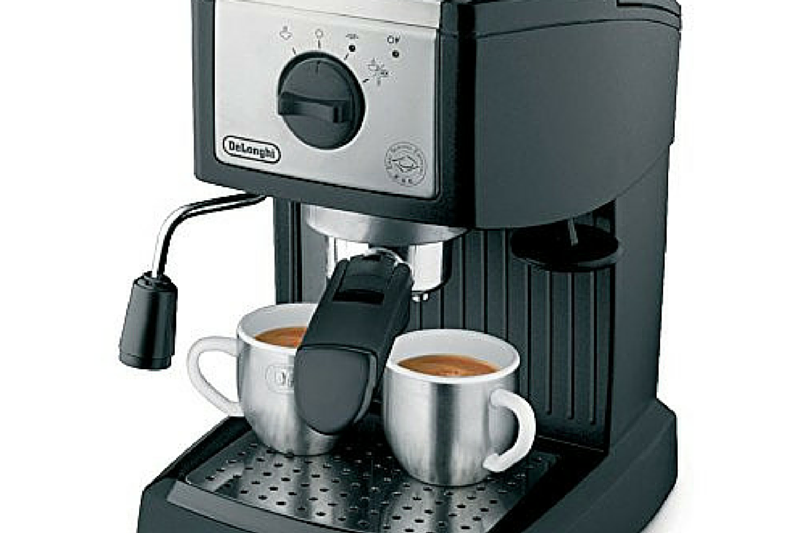 Unlike its regular coffee counterpart, the Rivo doesn’t use K-cups but special coffee pods manufactured by Lavazza. You have the option of choosing between a couple of flavors, which is a brilliant way of keeping your taste buds on their toes. All this can be yours for a about $150, and for that reasonable price you get a well-built machine that has the potential of being your new best friend. Can be difficult to track down the pods. Lavazza doesn't have as variety as the competition. Plastic build can be a minor turn-off. Shot temperature is slightly lower. The Keurig Rivo Cappuccino and Latte System is available on Amazon for Out of stock. If you’re particularly strapped for time and want a quick way to enjoy a nice espresso, then the Keurig Rivo Cappuccino & Latte System is a brilliant buy. Granted, it doesn’t produce professional-level results as you’d get in pricey semi-automatics. But the little you lose in terms of quality, you more than make up for in convenience. Cleaning is a total breeze since there are few parts to deal with and the machine is remarkably easy to use. You can go from zero to deliciousness in break-neck speed! 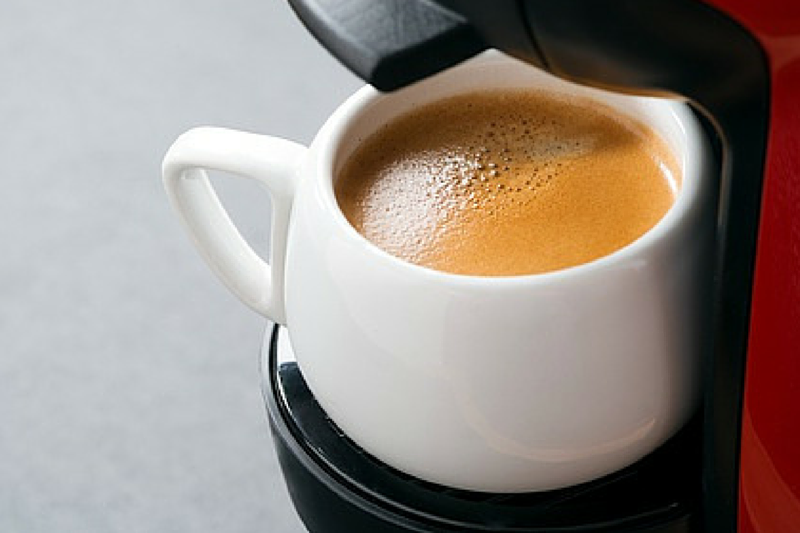 The only major drawback of this espresso machine is getting your hands on the Lavazzo pods. Yes, you can order them online or stumble across them in select stores, but they aren’t as ubiquitous as Keurig’s K-Cups. But as long as you establish that you can reliably score the pods, then this machine will transform your mornings by giving you a shot of heaven served with unmatched convenience. 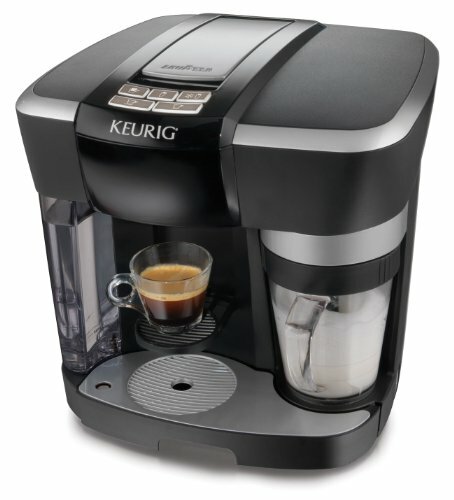 Still not sure that the Keurig Rivo Cappuccino & Latte System is right for you? 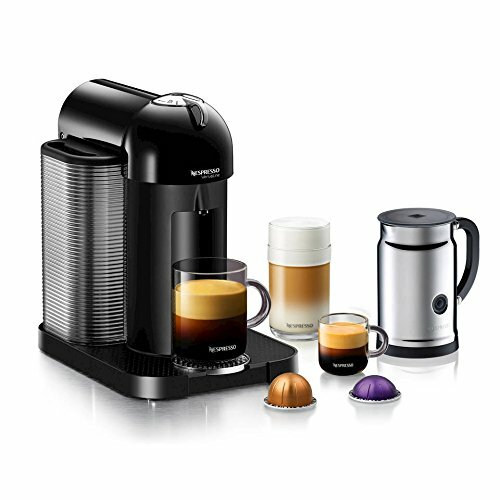 ​When most people think of a coffee pod espresso machine the one thing that comes to mind is Nespresso. The major reason for that association: quality! These machines are renowned for brewing excellent shots of espresso every time, and the Pixie is no exception. Foldable drip tray to accommodate taller cups. At a height of 9 inches and a length of 12, is compact enough to fit in almost any kitchen. The one thing that stands out about the Pixie is the blisteringly-quick warm-up time. It is ready to go in about half a minute, which is godsend for anyone who is always strapped for time. 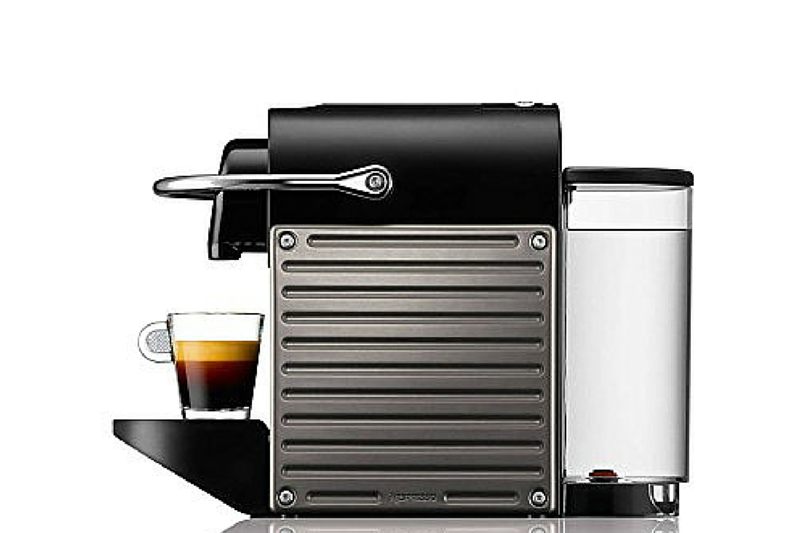 The Nepresso Pixie is available on Amazon for $213.40. The VertuoLine from Nespresso strives to not only give you great tasting espresso, but a brilliant regular coffee experience as well. If you want to try your hand at an espresso maker while still being able to whip-up your regular cup of joe, then this might be the machine for you. Used capsule container with a capacity of about 20. Auto-off feature that is set off after 9 minutes. Smart capsule-recognition system that offers blend-specific brewing. 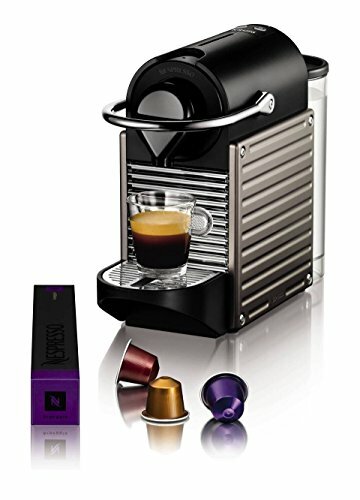 The Nespresso VertuoLine Coffee and Espresso Maker with Aeroccino Plus Milk Frother is available on Amazon for Check on Amazon. 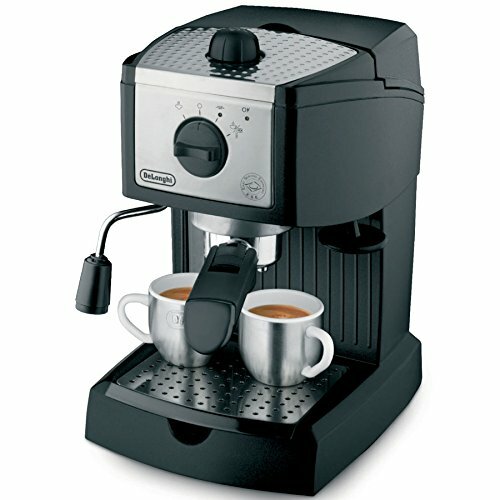 This particular espresso machine by DeLonghi features a dual function filter holder that can handle both pods and pre-ground coffee, redefining convenience in one swoop. This bad boy is counter-friendly too, occupying little space and weighing a very portable 7 pounds. 2 thermostats that control the steam and water pressure. Self-primer setting that automatically warms-up the machine. .Swivel jet frother to easily whip-up those lattes and cappuccinos. It may not brew espressos that shame those at your local coffee house, but for its price the results are more than commendable. 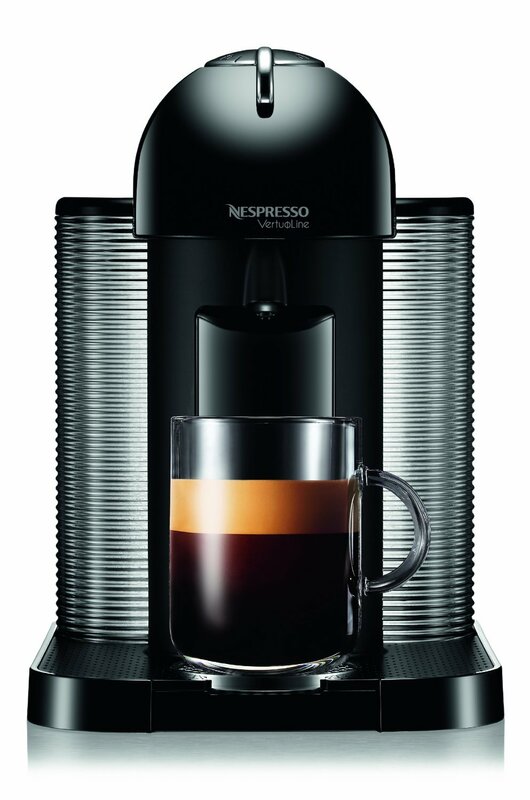 Well, this is pretty much a two-horse race, with the two Nespressos battling it out for the crown. These two bad boys brew seriously amazing espresso but the Pixie is a bit more cost-effective in the long-run and has more flavors to choose from, slightly eding-out its cousin in a photo-finish. The DeLonghi may not produce results at par with the Nespressos, but its pocket-friendly price and list of impressive features makes it a great buy for anyone looking for an unbeatable deal.